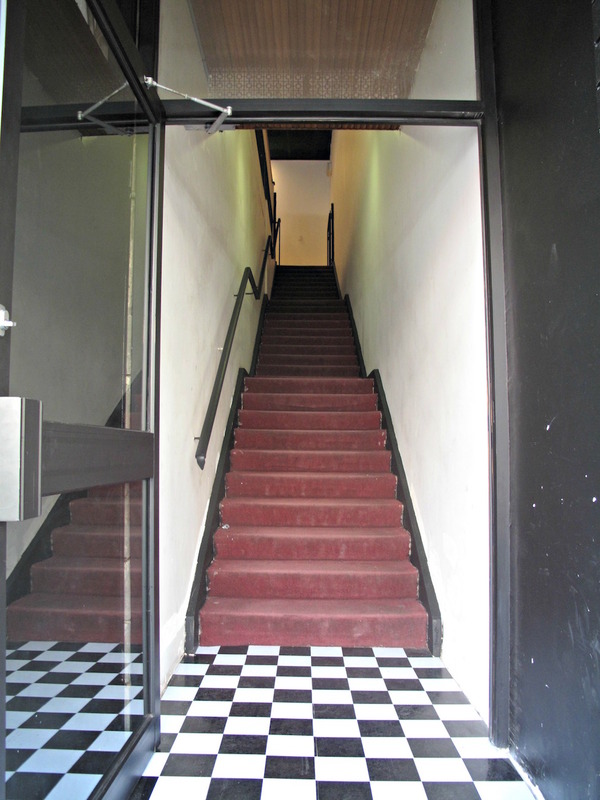 Ascending the stairs to The Creators Lounge (116a Hopkins Street), my cynicism seems boundless. 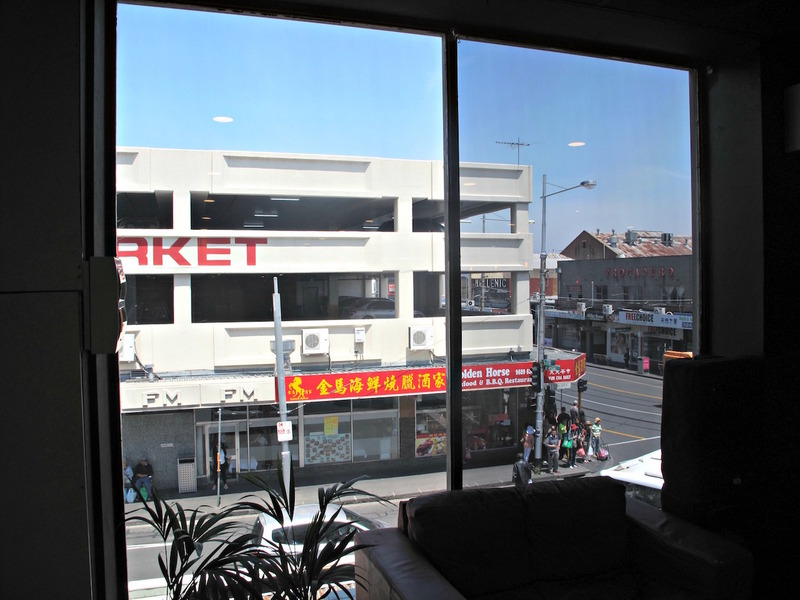 A brand new mega-hipster haven right in the guts of Footscray. Combining a cafe (jaffles, loaded fries, poutine) with a barbershop, and with a retail outlet and podcast studio to come. All of it located right above the venerable Foostcray institution that is Nhu Lan, king of banh mi. 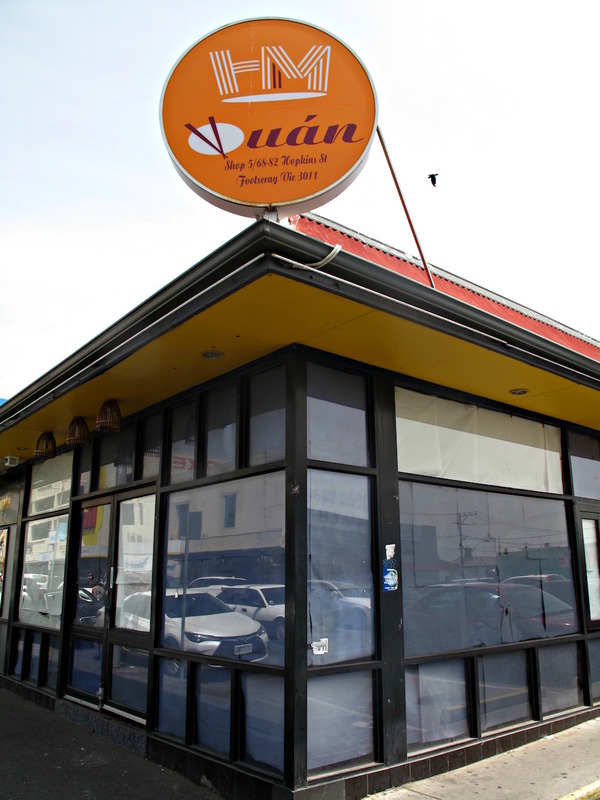 Q: Can people bring their Nhu Lan banh mi’s up here to eat? The Creators Lounge Proprietors Johnny (not the in-house barber) and Josh. Josh comes from a background of radio work with the likes of Fox, MMM and 3AW – hardly known as prime hipster breeding grounds! He tells me, BTW, that the Nhu Lan folks are actually their landlords here and that the first-floor premises were once a yum cha place. I suspect that must’ve been many years ago. 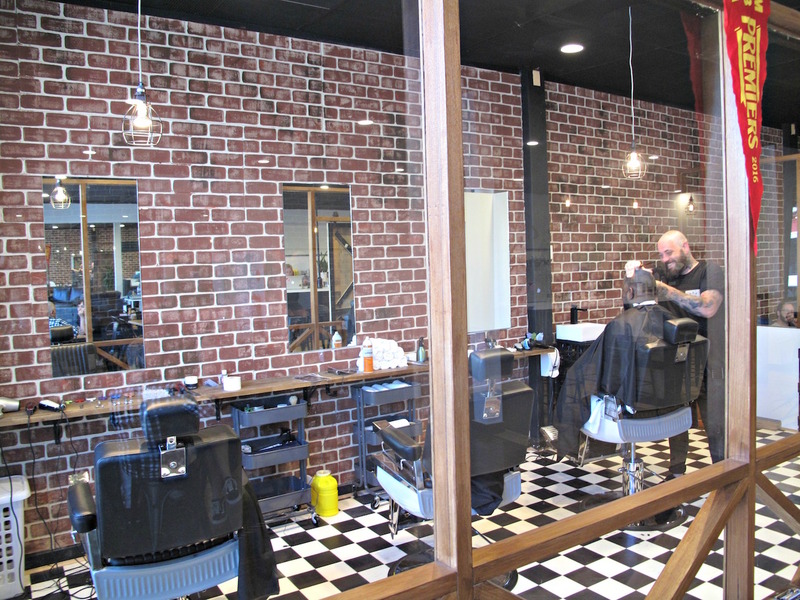 Q: Why would I consider getting a buzz cut here for $20 when I regularly get one right across the road for $8? A: Josh tells me being in the hands of Johnny The Barber is a whole trip all on its own and worth every cent. Hmmm, I’ll take that on board. 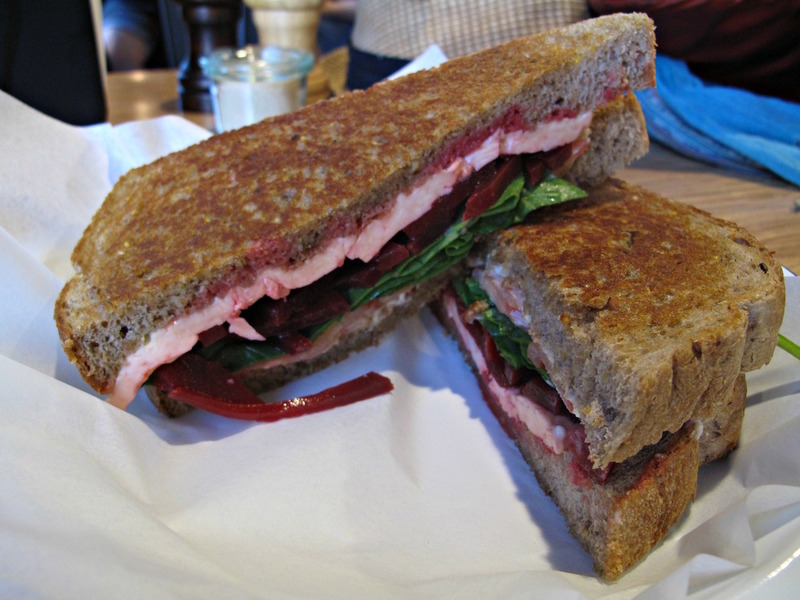 My cynicism pretty much disappears completely with the arrival of my lunch – the haloumi sandwich, which shares the sanger list with the likes of a reuben, turkey bacon club and a bacon & egg. At $12, this is about three times the price of a Nhu Lan banh mi – but it’s also very good, with lovely, pan-seared cheesy flavour mixing it with beetroot, tomato, spinach and mayo. A most excellent $3.80 cafe latte seals the deal – I really do like this place! 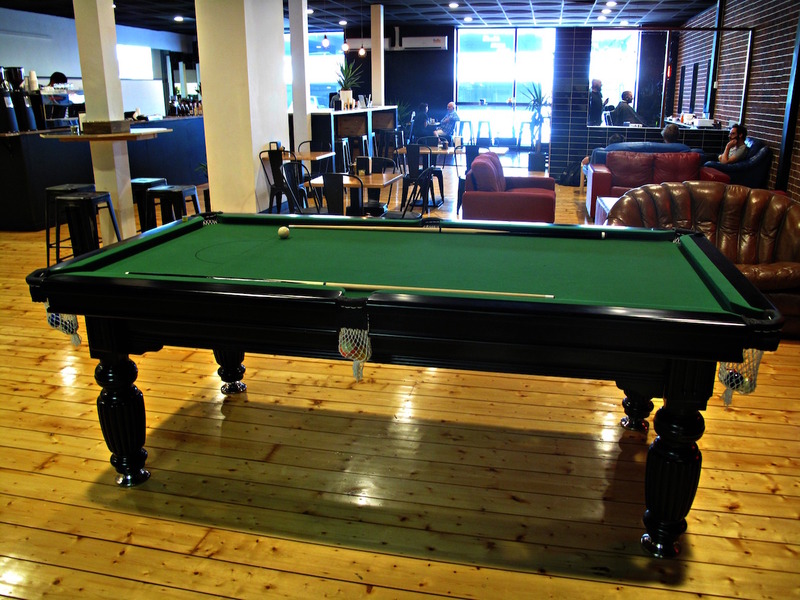 The Creators Lounge is a big, open space with live US sport on the telly, a pool table and very many comfy, lived-in leather sofas. Josh tells me they’ll have tap beer on some time soon after Christmas, but that the place’s vibe will remain more “chilled out” than a regular bar. 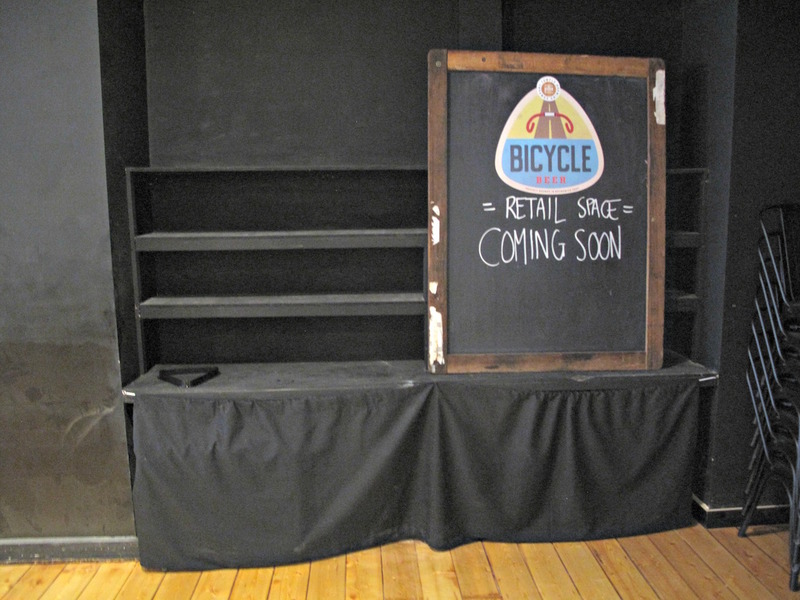 The coming retail outlet will sell – among other things – shaving gear and beer gear. The corner site of the former HM Quan appears to have found a new tenant, with a fit-out seemingly underway. 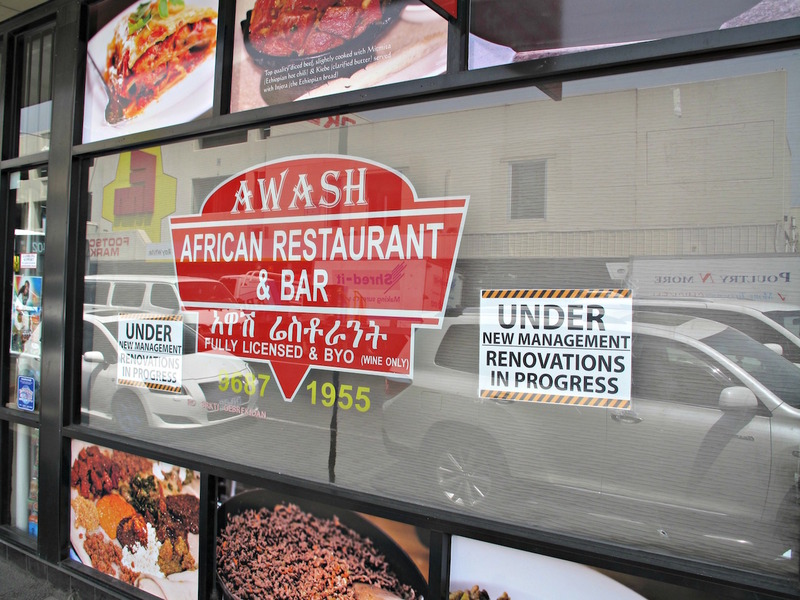 A few doors along, long-standing Ethiopian eatery Awash is “under new management” with “renovations in progress”. On Leeds Street, the premises that formerly housed Korean joint Snow Tree has become a massage business. 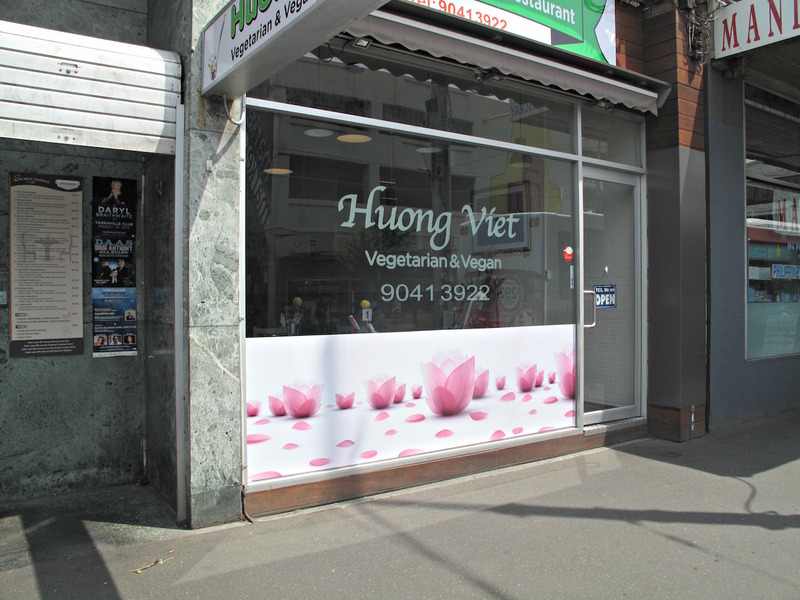 A little further along Leeds, what was for many years Vietnamese stalwart Tan Truc Giang is now Huong Viet and offering vegetarian and vegan fare. Bennie and I checked out the menu, finding many interesting items, with tofu and mock meat in much evidence. 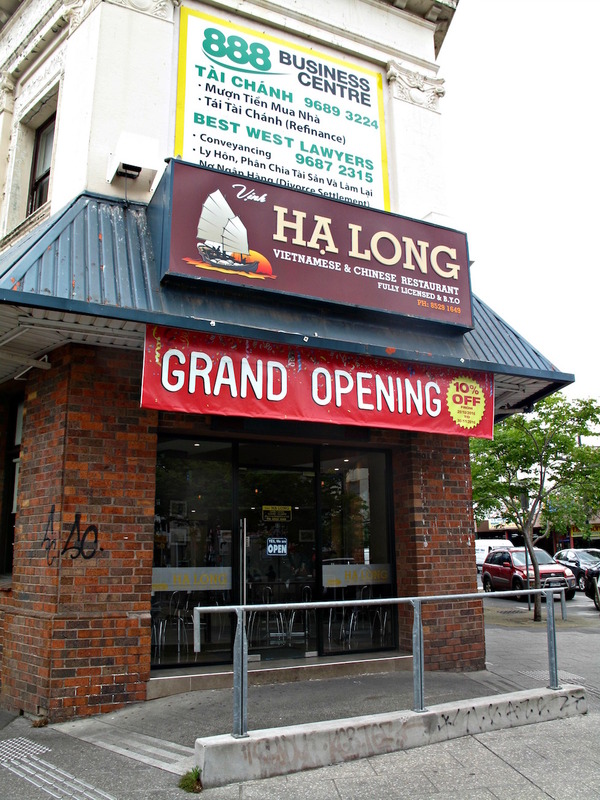 On the corner of Droop and Nicholson streets, the former convenience store that for several years housed highly regarded Sen has come full circle – and is once more Ha Long! 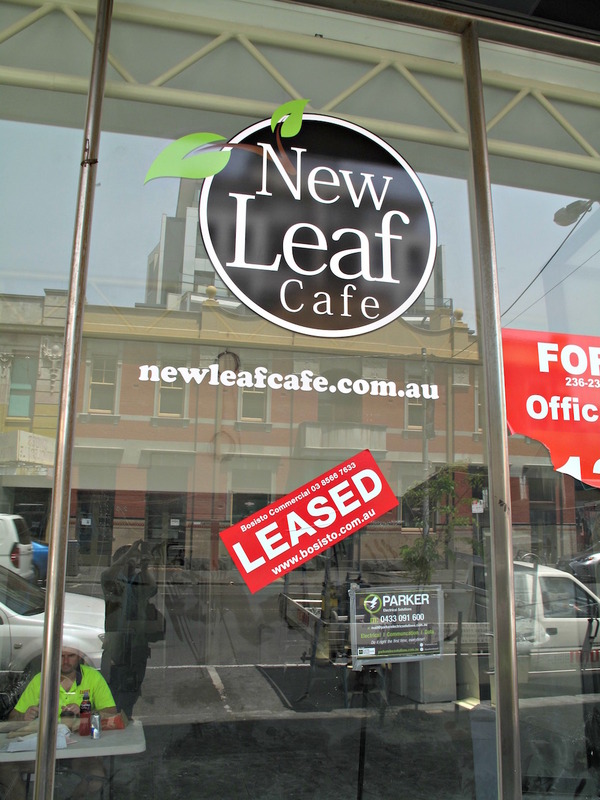 On Barkly Street, and opposite Lentil As Anything, another new cafe is taking shape. Going by its website, it’ll be offering old-school cafe fare including breakfasts, burgers, schnitzels and a kids’ menu. ← Birdcage Cafe – opening today! Fair call about Creators Lounge… Sounds like you got a very warm reception and some good fare. Worth a look. Hi Juz! Nah, on a case by case basis. If this was a (paying) full-time job, I’d have a shot at being at all times comprehensive. As it is, there’s too much going on for me to able to do it all – not just bars, but in general. 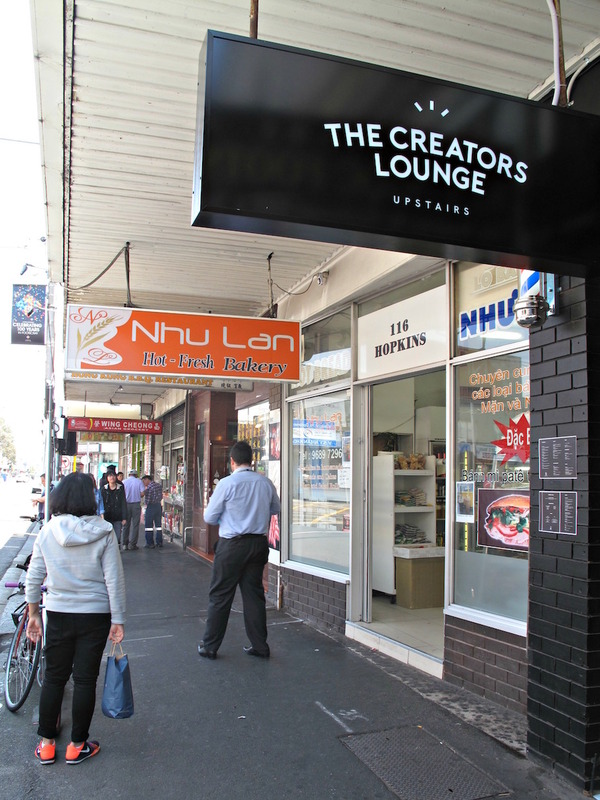 Nice vibe at The Creators Lounge – good street views, nice guys, retreat feel to the place! Funny, a few weeks ago i was stuck in traffic and i saw the guys admiring their signage being put up. 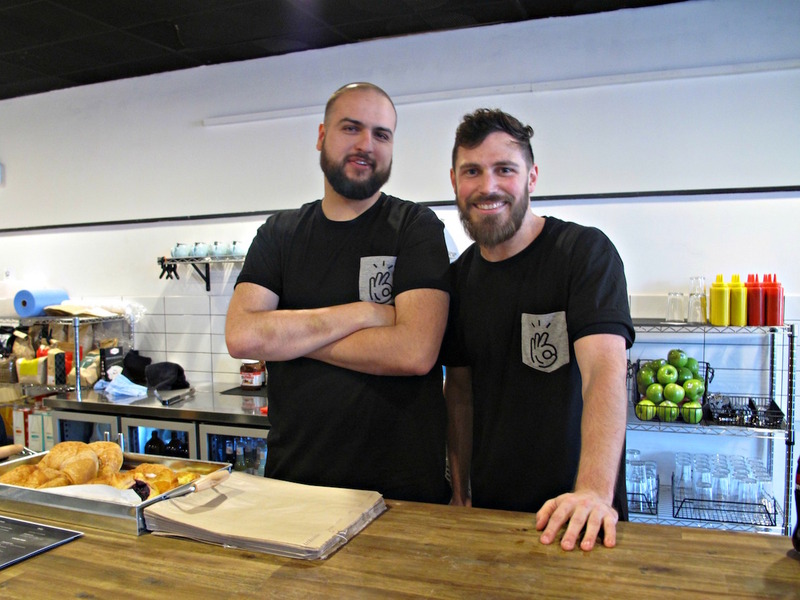 I googled the sign and thought FFS more hipsters!, then thought good on them, Footscray is a long hard slog to do anything and these guys are in from get go and not when things are easy once the path has been laid. I’ll be in for a buzz cut and shave Bahn mi in hand. 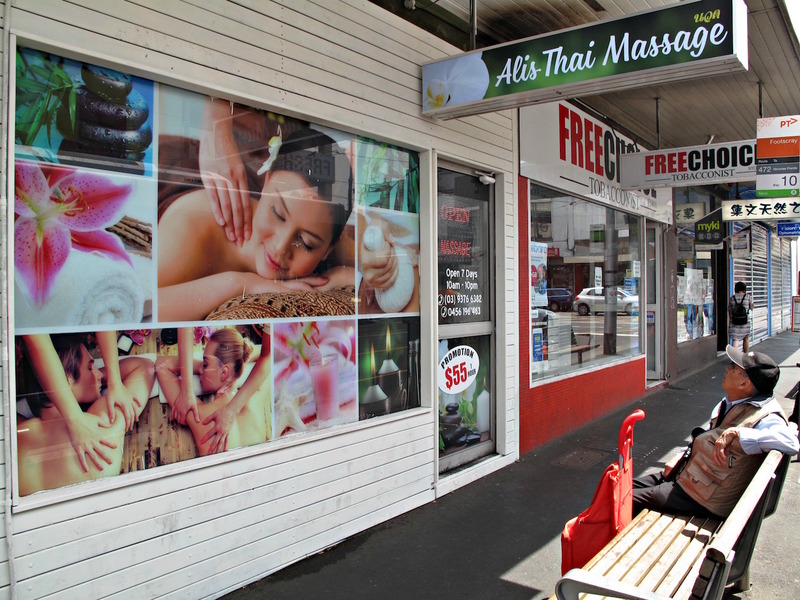 I’d be interested to know the thought process behind opening a new massage parlour in Footscray. Surely the place has reached peak massage! There’s two new ones on Ashley Road as well!